Why Sell Books At Sell Back Your Book? How do I find my books ISBN? We update our prices continuously to offer the best price online! We always offer Free Shipping. Print a label and you're done! We pay fast! All payments are processed within three business days of your item arriving! Sell Back Your Book is not a scam! We are an accredited business with the BBB and have an A rating. We are proud of our rating and work hard to resolve any issues that may come up! 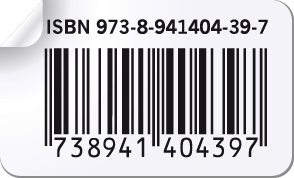 The ISBN number can usually be found on the back of the book above the barcode. An ISBN can be a 10 or 13 digit number you can enter either one. If your book does not have a barcode or a sticker is covering the barcode look inside at the title page. The title page has publisher information and copyright details. Books published before 1970 do not have ISBN numbers and we can not buy them. Selling Books online to Sell Back Your Book could not be easier. Simply enter your books ISBN number in the box above and we will give you an instant price quote! Sell books with free shipping and no worries about if your book will sell or not. Our online book buyback tool is the best way to get value for your used books.